Innovative companies seeking strong business outcomes in 2018 and beyond are strategically upgrading their enterprise mobility systems to the world-leading mobile device operating system, Android. Why? Because over the course of the next two years Microsoft will phase out all support for Windows Embedded Operating Systems leaving many businesses without a choice. Unfortunately, if your organisation operates any consumer-grade or rugged handheld devices running Windows applications, Microsoft will not be releasing any more system updates, security patches or bug fixes; and specialist support for these applications will no longer be available when things go wrong. In fact, ‘End of Life’ dates for Windows Embedded CE, Windows Embedded Handheld 8.1 and Windows Embedded Handheld 6.5 are 10 April 2018 (already passed), 9 July 2019 and 14 January 2020, respectively. Importantly, there’s still time to start planning in order to make smart decisions about what your company needs to do to get your future-ready mobility system in place—whether that’s changing how you do business, upgrading old devices to ensure Android-compatible devices and software are used. 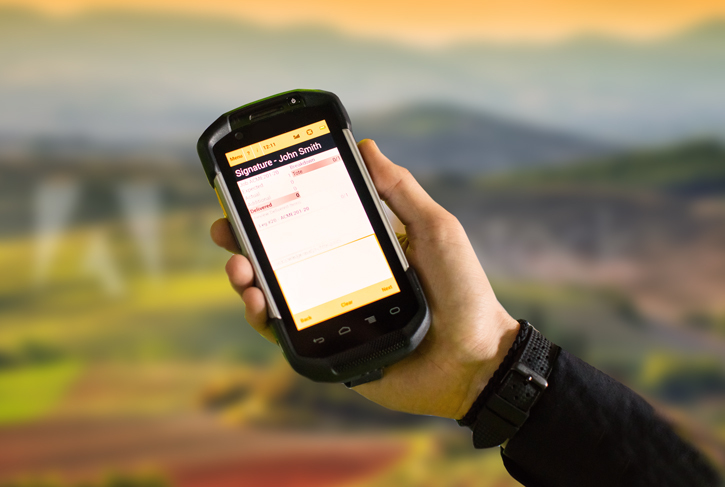 For warehousing, manufacturing, transport and logistics, retail and field service companies with thousands of employees in Australia using mobile computers and handheld devices to streamline operations and service their customers; it’s an inevitable and considerable project to manage. But now’s the time to safeguard against becoming vulnerable or exposed by security breaches and viruses, struggling to fix software bugs while adding new applications and software capabilities. Here, we outline what’s essential to consider when upgrading your company’s enterprise mobility system to the flexible, familiar and reliable Android platform. First and foremost, if you’re a large company running a big fleet of mobile computers and handheld devices you’re likely to have a sizeable cash investment in the software you’re using, therefore, when Windows-based operating systems becoming obsolete, your software will need attention. If your mobility software has been developed in-house or developed by a small software company, then it will likely need to be reworked to run on the Android platform – which, understandably, will come at a cost. If your software has been developed by a larger software provider, such as SAP, Salesforce, or even Leopard Systems, and your provider has kept pace with mobile technologies and developed an Android version, then the majority of software development work has already been done, providing for simplified migration. That said, it’s still a substantial project for your company to smoothly replace and transition from Windows to Android and to navigate your way through the changes necessary and potential challenges with your software provider. Secondly, a considerable hurdle for your company to address at some point, is how to cover the internal costs, the external costs of new software development, the operational downtime costs and the costs associated with mitigating all potential risks associated with a changeover. Furthermore, it’s a question of deciding on the right time, in essence when the balance – between continuing to use old Windows devices without incurring the upgrade costs and having the funds to support your inevitable upgrade and investment to Android – is right. Choosing when to make the upgrade investment, balanced against the risk of using a system that won’t be supported or updated in the future, will be unique to your company and mobile enterprise operations. Lastly, is to be aware of the amount of time left on the Windows mobile ‘support clock’. Two years is not a long lead time when typical software development cycles can be anything from 6 to 18 months to rewrite specific application components in preparation for an Android upgrade. Although many companies consider implementing a mobility fleet of employee-owned consumer-grade devices via a BYOD approach, most organisations have discovered that the risks and associated costs with BYOD have proven unfavourable. In many instances, employees may not own a suitable device, or their device may not run the specific software required, or using a personal device for work is just not practical. Likewise, consumer BYOD devices don’t always suit business workflow and operations, and may end up costing more when the total cost of ownership over several years is factored in, accounting for increased repair and replacement costs and downtime losses. Always have removable batteries – so you can replace the batteries after a busy shift or coordinate to renew batteries when they’re worn out, without any work downtime or losses. Are less likely to break – so less downtime and lower repair/replacement costs, thus saving money over the life of the device. Can have a comprehensive repair contract attached to them – providing a fixed cost of repair for the full lifecycle of each device, therefore supporting your hardware management costs and efforts. Have model longevity – you can continue to buy the same rugged devices for 3-5 years, and not need a new model every 6-12 months, so staff remain familiar with the device model and the software configuration on it, to help maintain and maximise work productivity. Have support longevity – you can access device repair and support for 3-5 years after the model is no longer being sold. Have a greater range of accessory options, for example, vehicle cradles, battery chargers, multi cradles, printers and so on. Are less likely to be stolen or lost because they are undesirable to the public as a personal item. Have in-country enterprise-ready support mechanisms in place. then, first and foremost, it’s a matter of selecting an alternative software provider/system and plan transition to a completely new system. Justifiably, there are a few directions a company may decide to pursue as they navigate the move from Windows to Android. Rugged Android devices have been available to purchase for some time, however what steps do YOU need to take to optimise your investment and transition to Android? Initially, determine if your current enterprise mobility software vendor has kept pace with emerging technologies and already provide for Android capability within their current software. For example, if you use a proprietary mobile retail or transport software, has that software vendor kept up and purposefully developed for Android, as well as offering Android support? If ‘yes’, and you’re satisfied with what that vendor provides, then this will be the most cost-efficient and beneficial path to take. A straightforward version upgrade for the mobile software on your handheld devices, that automatically works with your backend system, is ideal. Plus, with no major integration costs, work or downtime, you’ll simply continue business operations following an upgrade to new software on Android devices. If your current software vendor does NOT support Android, then you’ll need to evaluate alternate software vendors that do, and you’re confident in partnering with for the next five to ten years. This then becomes a larger decision and implementation project depending on how your mobile software needs to be developed to integrate with your backend business system. If you decide to move to new mobility software, then you’ll need to invest in suitable integration work in order to insert all the data into the correct identical places that your previous system did, to keep your business operations working smoothly and on track. 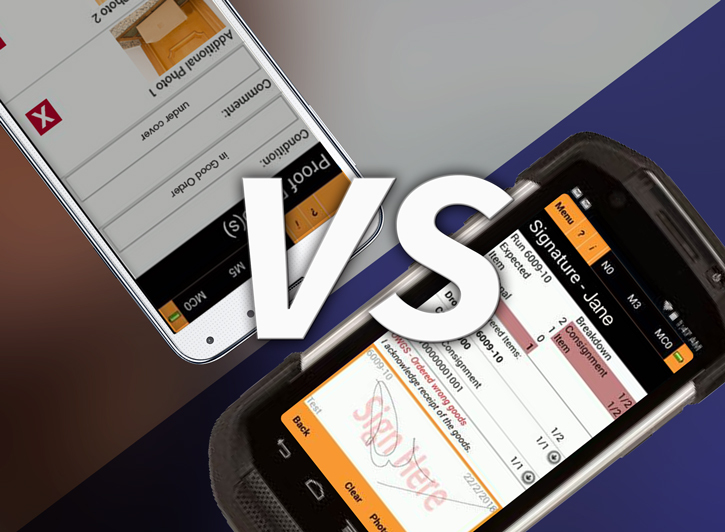 In contrast, if your mobility software was developed in-house, as a number of smaller retail, field service and transport companies have done, it’s highly likely that your system won’t have Android capability or support. In this case, you’ll need to assess whether to manage your Android upgrade internally, which could be costly in development, or investigate alternative external software vendors who offer a ready-made solution, or have a roadmap and development cycle, that fits your requirements for Android, then manage the integration project. In conjunction with moving your mobility solution to Android, now’s the perfect time to conduct a full assessment of emerging technologies and specialty services that your company may wish to harness in the future for system optimisation. With the rapid pace of smart internet-connected devices – with sensors, cameras, trackers and more – creating exciting opportunities within the mobility-IoT ecosystem, it’s wise to make decisions that don’t exclude technology options for the future. A future-proofed mobility strategy should encompass remote hardware access and management. Android is evolving and updating far more rapidly than any other mobile operating system previously. Therefore, the need to provide system upgrades and security patches on Android devices efficiently is vital. Android rugged devices require weekly and quarterly updates for security, preventing important data from being stolen or the disruption of your service to your customers. In short, they need to be updated at least quarterly and much more frequently than Windows devices. Therefore, you can’t go more than three months without some sort of Android device update. This equates to quarterly updates for the next five years, making MDM services a key consideration for any Android upgrade and part of an overall mobility strategy review. As the next five to ten years will give rise to new advances in mobility technologies, while concurrently establishing a universal system for integrating such technologies, balancing future opportunities against unknown risks is essential. Partnering with an enterprise mobility solution provider who understands and is at the forefront of driving innovation in this field will ensure the best outcome for your solution and give your company a competitive edge. Leopard Systems are proud leaders in the provision of multi-platform subscription based mobility software solutions, hardware supply, device fleet management, rollout and support. We’re skilled at implementing and deploying new hardware for large-scale fleets using your software solution of choice or our proprietary solutions best suited for your business needs. To discuss your software, hardware requirements and mobility strategy, contact Leopard Systems today. Already negotiating the transition? 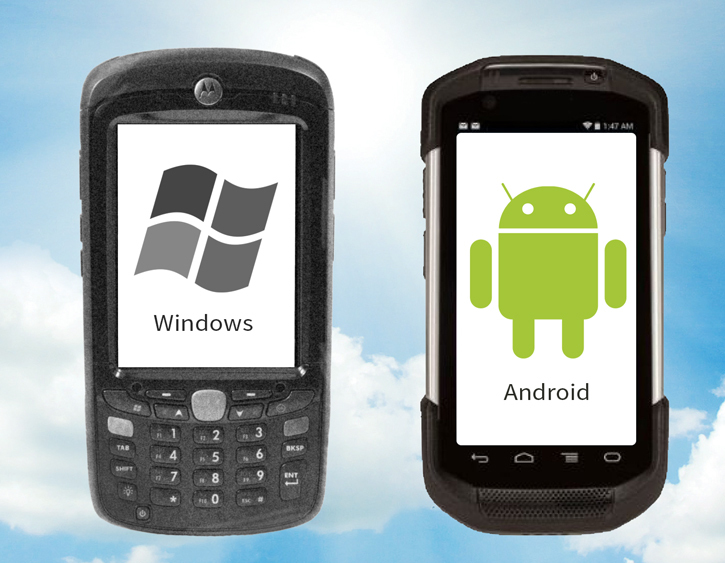 We also offer interim rugged devices for organisations to rent Windows devices while developing their Android mobility strategy. Rather than purchasing a new fleet of soon-to-be-obsolete Windows devices, rent these serviced and operational devices from Leopard Systems for a fraction of the cost. Don’t invest in a product that will shortly need to be replaced! Contact Leopard for more information about our device rental service.